We are members of The Hive, a social innovation hub and shared office space that provides resources that enable their members and partners to thrive. 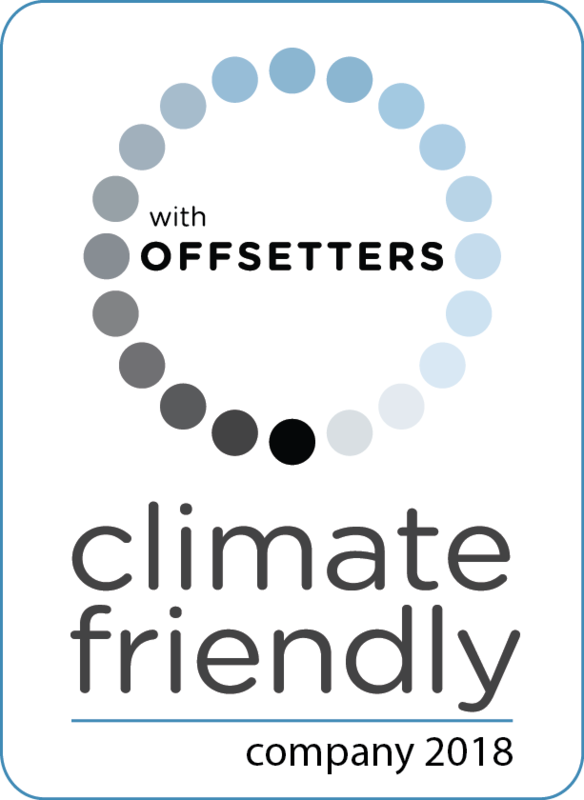 We offset the greenhouse gas emissions of all our air travel every year with Offsetters, a leading Canadian provider of carbon management solutions that helps organizations reduce and offset their climate impact. Click here to view our latest certificate. We are bullfrogpowered® with 100% green electricity. We work with The Sustainable Economist to invest our financial capital in a sustainable manner. We exclusively use public transportation, biking or car shared programs for our transport. We commit about 10% of our time to pro bono work with like-minded institutions where our skills and expertise can greatly enhance their work. We donate to numerous charitable non-profits on a range of social-, environmental- and health-related causes. We use a web hosting company that is 100% paperless, recycles 100% of its waste and sources 86% of its power from renewable sources.